"This is probably the oldest house in the city, and is an interesting relic of colonial architecture. It was built in 1664 by Richard Jackson, who owned land in the vicinity, amounting to 26 acres. It still belongs to the descendants of the original owner. The house fronts on the river, as all the oldest houses did, being built at a time when the river and the different creeks were the chief highways, the shore being covered with an almost continuous forest." 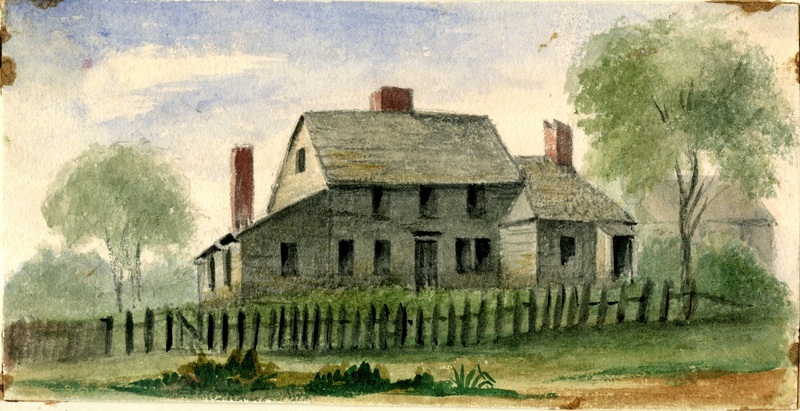 ~ Sarah Haven Foster (1827-1900), “Jackson House, front,” Portsmouth Public Library's Online Archives, accessed April 21, 2019, http://portsmouthexhibits.org/items/show/856.